Hi everyone, here’s the next handout for survey of orgo. My computer went wonky and I had to fix it so I was just able to publish this today (I planned to have it up on Saturday). Please note that the formatting for the condensed structures are weird here so for an accurate depiction, read the pdf version of the handout–link available at the end of the entry (It’s significantly nicer in format haha). Thank you! From our previous lesson we learned about hydrocarbons. Hydrocarbons are organic compounds composed of only carbon and hydrogen. We looked at four functional groups that fall into this category: alkanes, alkenes, alkynes, and aromatic (arenes). **Please note that if you are reading both the handouts for Survey of Orgo and my Orgo for Health and Life Sciences, I will refer to aromatic hydrocarbons as aromatics in these sets of handouts (for survey) and as arenes (for orgo for health/life sci). They are the same. In this lesson, we will focus on alkanes, which are hydrocarbons containing only single bonds. In an example from Handout 1.1, we looked at methane, CH4. Since carbon is tetravalent, it forms four bonds. So now we will see what happens when there are 2, 3, 4…etc. carbons in the organic compound. The general formula for alkanes is CnH2n+2. Let’s look at methane. There is one carbon (n = 1). For hydrogen, we plug in “1” to the equation 2n+2 to get 2(1) + 2 = (2+ 2) = 4. For hydrocarbons (alkanes, alkenes, alkynes, aromatics), the rule is that each carbon MUST be bonded to another carbon. When we draw the figures for alkanes, you will be able to visualize it. As the number of carbons and hydrogens increase, molecules can be formed in different ways. They can be straight-chain alkanes or branched-chain alkanes. Straight-chain alkanes are what the name states. 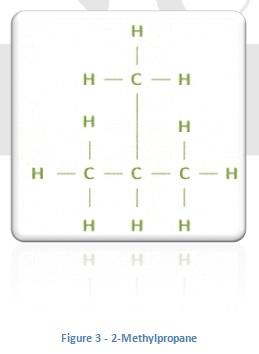 They are alkanes that are connected in a continuous, straight line. An example would be butane from Figure 2 above. Branched-chain alkanes have a branch point where the carbon forms a branching connection (similar to the branches of a tree). An example would be 2-Methylpropane. For straight-chain alkanes, you can move your finger across the line of carbons without having to lift it or retracing your path. However for branched-chain alkanes, you will have to either lift your finger or retrace your path (if you decide to not lift your finger from the page). This brings us to our next point- isomers. Isomers are molecules with the same chemical formula (such as our two examples butane and 2-methylpropane), but have different chemical structures. Specifically, constitutional isomers are compounds that have the same chemical formula, but have different connections/connectivity among their atoms. Although isomers have the same chemical formula, they have different physical and chemical properties. Their structures are different and can have different physiological effects and properties. For example, boiling point and melting point. 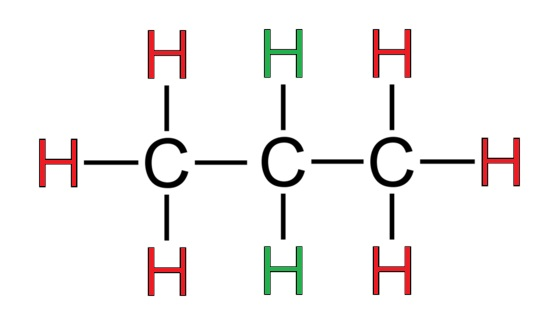 Butane has a boiling point of -0.5◦C while 2-methylpropane has a lower boiling point of -11.7◦C. This is due to butane having greater dispersion forces since it’s flatter and less compact. But for survey of orgo, you just need to know that isomers have different properties despite similar chemical formulas. From Figures 1 through 3, we drew the structures for ethane, butane, and 2-methylpropane. Although it is useful, it can take a lot of time. A simpler and more organized way to draw these structures are through condensed structures. In condensed structures, the connections between atoms are understood while providing the necessary information such as which functional groups are present. Remember our review of the number of bonds that the elements can form from the table of Handout 1.1? These will help us interpret condensed structures more easily as we move on. 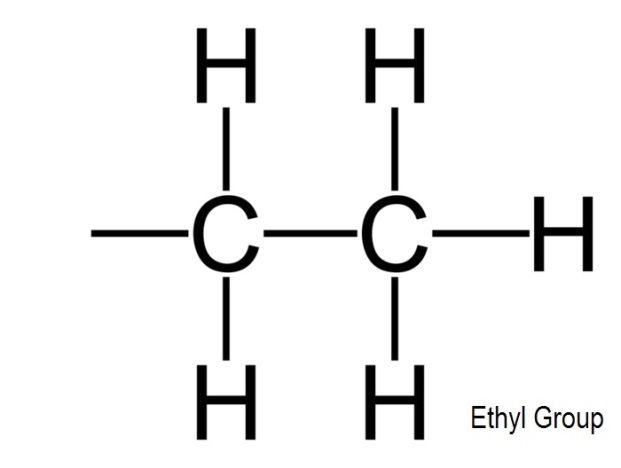 Let’s take a look at the condensed structures for ethane, butane, and 2-methylpropane. Instead of putting the lines representing the bonds, we can assume their connections from the condensed structures. It won’t be a problem to draw out the entire structure for simple organic compounds (such as our examples), but later on when we get to larger organic molecules with many connections, it will be very difficult and messy to draw out the entire structure. Condensed structures will be very helpful when we start drawing and naming organic compounds. In our above example for 2-methylpropane, the vertical bond with the second carbon is shown to clarify the structure. We will see how helpful this is when we try to visualize isomers with similar chemical formulas. Isn’t that much easier and cleaner to read? The subscript tells us how many of the CH2 bonds there are between the two CH3 bonds. Now that we have a foundation for drawing and identifying straight-chain and branched-chain isomers of organic compounds, let’s apply this to an example. Example: Draw the straight-chain and at least three (3) branched-chain isomers with the formula C7H16. The branched-chain isomers can get a little more complicated; however, it’s not too bad, I promise! You can also start from the left and it will still be 2-methylhexane. We will learn about this when we discuss conformers next. When we learn how to name alkanes (as well as other organic compounds), we will see that they will be the same as a result of identical connections. 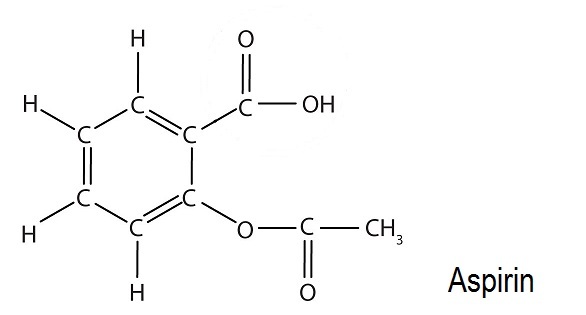 For now we’ll just take a look at the branched isomers. In our example above, the new chain I would draw would have six (6) carbons. If you attach the carbon to the first carbon or the last carbon of the chain, you will end up with the same straight-chain isomer with seven carbons forming a linear row. 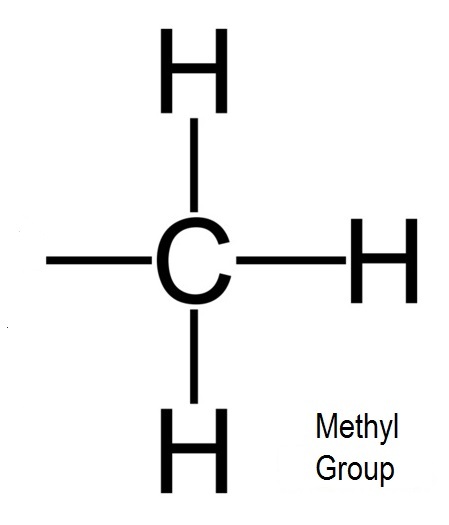 Next we can put the methyl group (the -CH3) in the middle. We will learn about substituents (-CH3, -CH2CH3, etc.) after we finish this exercise. I know what you’re thinking…it’s only the beginning of orgo and there’s already so much information to take in! Don’t panic if it seems like a lot. It will click once we get through this handout. Like I said before, it took me time also to be familiar with orgo when I was an undergraduate student so don’t feel any pressure to have to know all of this right away. We continue again and branch them from the carbons to the second or second to the last carbons in the chain. Since we’ve explored the connections with the six (6) and five (5) carbon chains, we can move on to four (4). (I know, we had to end with a hard one, right?) I drew the bond between the two carbons to give space to draw the other methyl group. Otherwise, the second and third methyl groups would look squished together. Here comes the fun part. Now you’ll figure out how I was able to name the isomers from our previous examples. For pentane through decane, they follow the Greek numbers. I’m sure all of you are familiar with this from the polygons from geometry with pentagon, hexagon, heptagon, octagon, nonagon, and decagon. The organic chemistry nomenclature (the naming system) that is in use today was formulated by the International Union of Pure and Applied Chemistry (IUPAC). Let’s reexamine our example from Figure 3: 2-methylpropane. We will do naming step by step next, but for reference now, it should be easy to follow in this example. As I had discussed earlier, the methyl group is the -CH3 substituent. For the prefix, we need to know the location and what type of substituent it is. Finally we classify it based on its family. Remember the functional groups handout that accompanied Handout 1.1? When we look at it again we see that alkanes end in “-ane”. Put it all together and we get 2-methylpropane. We named our first organic compound! I highlighted in our recent example that the methyl group is a substituent. Substituents are atoms or groups of atoms attached to the parent compound. Now we will learn how we got -CH3, -CH2CH3, etc. 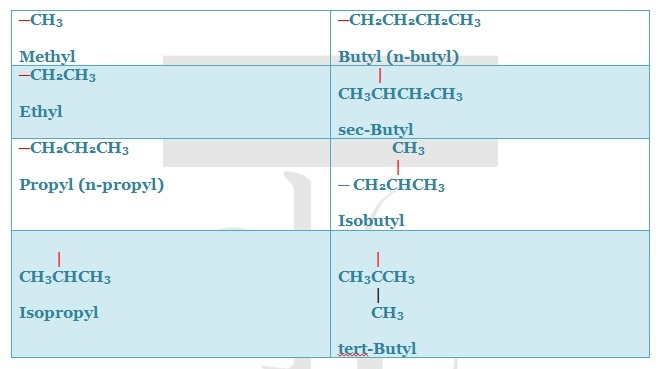 which are called alkyl groups. Alkyl groups are derived from a parent alkane. A hydrogen is removed to allow for bonding. 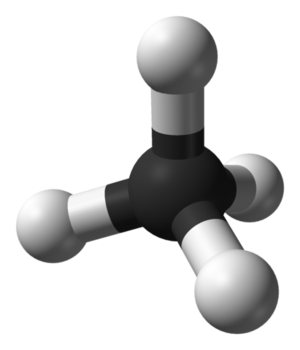 If we remove the hydrogen from methane (CH4) to create a bonding site, we get -CH3. The -CH3 alkyl group is known as the methyl group. As you can see from our examples, to name an alkyl group remove the –ane suffix and replace it with –yl. 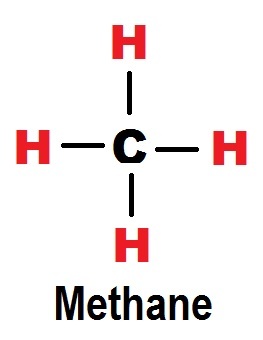 It’s simple for methane and ethane because regardless of which hydrogen you remove, there will only be one possible type of methyl or ethyl group. However, once we move to propyl, a removal of the hydrogen can yield two different alkyl groups. 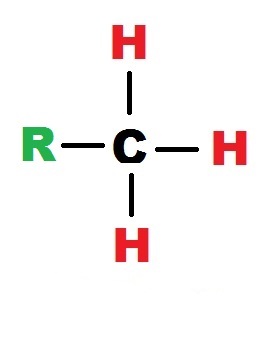 We can see from the diagram that there are two types of hydrogens that you can remove: a hydrogen attached to the ends (red) or a hydrogen in the middle (green). This is known as the propyl group (or n-propyl for normal) which is a straight chain alkyl group. However it is assumed that propyl (with an absence of a prefix) is the straight chain without having to add n-. This is known as the isopropyl group (the branched chain alkyl group). You can also write it as a condensed structure with parentheses as (CH3)2CH─. From our table we were introduced to sec- (which stands for secondary) and tert- (which stands for tertiary). These refer to the number of other carbons attached to the branch point. For secondary, two carbons are connected to the carbon branch point. 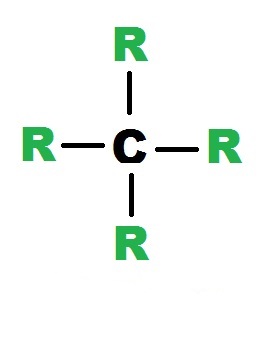 For tertiary, three carbons are connected to the carbon branch point. Carbon has four possible substitution patterns: Primary (1◦), secondary (2◦), tertiary (3◦), and quaternary (4◦). Diagrams of carbon’s possible substitution (where R = the alkyl group for our examples here; however, in later examples, R = any organic substituent). Please take a look at the functional groups worksheet. 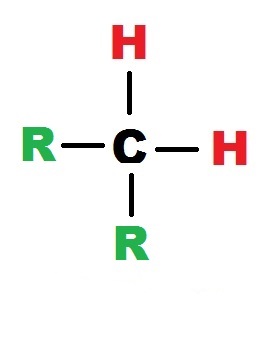 For an alkyl halide, R─X would be the general formula and can represent CH3Cl (chloromethane or methyl chloride), CH3CH2Cl (chloroethane or ethyl chloride), etc. Here’s where we learn how to name branched alkanes. 1. Find the longest carbon chain and name it according to the number of carbons it has. Make sure you count ALL of the chains since it might not be as obvious. The longest chain would be a substituted hexane, not pentane. It’s easy to make a mistake by counting from left to right and getting pentane. This would mess up the naming since counting from left to right from the five carbon chain would name “2-ethylpentane” which is wrong. Number the carbon atoms in the main chain according to the nearest branch point (giving the lower number). In our example, the branch point would be on carbon 3. If you started from the right, you would get “4-methylhexane.” Although you got the methyl and the hexane right, the locant (position of the substituent) is wrong. If there are two substituents attached to the same carbon, BOTH of them must be assigned a number. The two different substituents are listed in alphabetical order (for example, ethyl comes before methyl). Numbers are separated from words through dashes. Combine everything into a single word (prefix, parent, and suffix). If there are identical substituents in the chain, the prefixes di-, tri-, tetra-, etc. are used. Numbers are separated by commas. And remember that numbers and words are separated by dashes. We will briefly discuss conformation and conformers. A more in depth discussion on conformation/bond rotation will be in my organic chemistry for health and life sciences handouts. That information, however, is beyond the scope of the survey of orgo notes. We saw the structures of many organic compounds and their isomers through their condensed structures above. However, they do not address their geometry, only the connections between atoms. Remember from our first handout that carbon is tetravalent and forms four bonds. The three dimensional arrangement of the carbon-carbon single bonds gives rise to an infinite number as a result of rotation happening around the carbon-carbon bonds. The infinite number of possible three dimensional geometries are called conformations. This states that there is constant change with regards to the shape of the molecules at any moment. However, at any given instant, most of the molecules are in the least crowded, extended conformation (the left one in our example of pentane). As long as the connections are similar between atoms in a structure, they represent the same compound regardless of how you draw it. These molecular structures are called conformers. When we look at the two compounds, we see that they have the same molecular formula, C6H14. Now that we verified that, we can count the longest chain and identify the substituent. 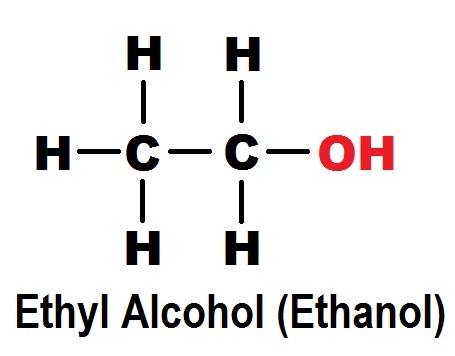 They are both 2-methylpentane! They are identical to each other so they are conformers. The molecular formula is the same (C6H14), but the substituent is located in a different carbon. While it was in the second carbon above, it’s located on the third carbon here. Here we have 3-methylpentane. It is an isomer, not a conformer. We covered a lot in this handout. I don’t want to overwhelm you with material, so I will save the rest for Part 2 which will cover properties and reactions of alkanes (combustion and halogenation). We will then look at cycloalkanes and do a few more examples. Survey of organic chemistry and biochemistry- this is designed for those going into fields such as nursing, nutrition, and allied health fields. It provides a foundation of concepts while not going into too much detail. Organic chemistry for health/life sciences- designed for those who want to pursue higher level courses in the sciences or plan to go to graduate, medical, or pharmacy school. These notes are more detailed and examine concepts in depth. You can see/look at the differences between the two sets of notes in the menu above. You can choose whichever suits your needs. However, for the organic chemistry for health/life sciences, I assume that you already have a strong background in general chemistry and biology. Organic chemistry is the study of compounds containing carbon. There are no differences between organic and inorganic compounds since their behaviors are similar regardless of their origin and no matter how complex they are. The only difference is that organic compounds contain carbon. Carbon is a group 4A (14 in IUPAC System) element which means that it can share four valence electrons and form four strong covalent bonds. Organic compounds come from both living organisms and through synthesis (medicines, polymers, cosmetics, and other substances) in a laboratory. Atoms consist of a dense, positively charged nucleus surrounded at a large distance by negatively charged electrons. An atom is overall neutral meaning that the number of protons (positive) in the nucleus is the same as the number of electrons (negative) surrounding the nucleus. Nucleus is around 10-14 to 10-15 meters (m) in diameter. Diameter of a typical atom is 200 picometers (pm) or 2 x 10-10 m.
Many organic chemists and biochemists also use the angstrom (Å) to express atomic distances. Atoms are described by their atomic number (Z) which tells you the number of protons (as well as electrons since their number is the same) it contains. For example, the atomic number for oxygen is 8. Therefore, it has 8 protons and 8 electrons. The mass number (A) tells you the total number of protons and neutrons in the nucleus. Depending on the number of neutrons, atoms with the same atomic number can have different masses. Atoms with the same atomic number and different numbers of neutrons are called isotopes. For example, let’s take a look at carbon (since it is orgo after all!). Carbon’s atomic number is 6. It has 6 protons, 6 neutrons, and 6 electrons. An isotope of carbon is Carbon-13 (13C) which has 6 protons, 7 neutrons, and 6 electrons. The atomic mass (atomic weight) of an element is the weighted average mass of an element’s naturally occurring isotope (in atomic mass units). Let’s use our previous example for carbon and look at its two stable isotopes 12C and 13C. If the definition above looks confusing, take a look at the example and it should be easier to visualize and understand. A specific electron’s behavior in an atom can be described by a wave equation which is a mathematical expression defining the electron’s behavior in an atom. The solution of a wave equation is called a wave function (orbital). It is represented as the Greek letter, psi (Ψ). The square of the wave function (Ψ2) defines the shape of an orbital. If you plot Ψ2 in three-dimensional space, it will describe the volume of space around a nucleus that will most likely be occupied by an electron. We can visualize it from the diagrams (Diagrams 1B and 1C). If you remember from general chemistry there are four types of orbitals (s, p, d, and f). The most common orbitals in organic chemistry and biochemistry are s and p and will be the ones focused on. An orbital represents the space where an electron will occupy most of the time. An atom’s orbitals are organized into electron shell layers that increase in size and energy. Each shell contains a different number and different types of orbitals. Each orbital within a shell can hold two electrons. If it’s confusing, don’t worry we’ll break it down. From general chemistry, we can divide the periodic table into different blocks (s block, p block, d block, f block). Elements are grouped in blocks based on the highest energy orbital filled by an electron. S block is composed of Groups 1 (1A) and 2 (2A) on the periodic table. Note that helium is in the s block (1s2). P block is composed of Groups 13 through 18 (3A through 8A) except helium. D block is composed of the transition metals, Groups 3 through 12. F block is composed of the inner transition elements (lanthanide and actinide series). The first shell only has one 1s orbital. It holds a maximum of 2 electrons. The second shell has one 2s orbital and three 2p orbitals. It holds a maximum of 8 electrons (2s holds two electrons, 2p holds six electrons). The third shell has one 3s orbital, three 3p orbitals, and five 3d orbitals. It holds a maximum of 18 electrons (3s holds two electrons, 3p holds six electrons, 3d holds ten electrons). The node separates the two lobes which have different algebraic signs (positive + and negative -) in the wave function. It doesn’t refer to charge. It means that the positive lobe increases the electron density in its region while the negative lobe decreases electron density in its region. This plays an important role in bonding when we look at molecular orbital theory. In the next section, we will learn how to arrange an element’s ground state configuration. Ground-state electron configuration is an atom’s electron configuration (arrangement) at the lowest energy level. Rule 1: From the aufbau principle, electrons occupy the lowest energy orbitals first starting with 1s. The orbital energies increase starting from s, then to p, d, and f. After 3p, 4s comes between 3p and 3d. To visualize it, let’s look at the chart. 1s -> 2s -> 2p -> 3s -> 3p -> 4s -> 3d -> 4p -> 5s -> 4d -> 5p -> 6s etc. It might be confusing, but when you lay it down in chart form, it will make things easier. Draw a diagonal from the number on the left and move it to the upper right. It will match the arrows above the chart. 1s and 2s are the only ones in their diagonal, but when you start at 2p, its diagonal moves to 3s. The diagonal from 3p moves to 4s. Then the diagonal from 3d moves to 4p then 5s. It’s easier to visualize because some students get mixed up when the 4s comes between 3p and 3d. Rule 2: Each orbital can have two electrons occupying it. Their spin has two orientations up ↑ and down ↓. According to the Pauli exclusion principle, the two electrons occupying an orbital must spin in opposite directions (the more detailed explanation goes into quantum mechanics, but this is the main point that you’ll need to know). Rule 3: According to Hund’s Rule, if there are two or more orbitals with the same energy (we’ll begin to see this in the three p orbitals and the five d orbitals), one electron occupies the orbital (half filled) parallel to each other before you fill it with a second electron. Let’s take a look at an example to visualize it. Using the rules that we learned from Rule 1 and 2, we write out its electron configuration. Then we apply Rule 3 to half fill the orbitals parallel to each other. We can see from this that one electron half fills all of the orbitals before adding a second electron with an opposite spin. Let’s take a look at oxygen now. From oxygen, we have filled the 2p orbitals first and then go back and fill the orbital with an electron of an opposite spin. We previously learned that carbon is tetravalent (forms four bonds with elements to create stable compounds) as well as form bonds with each other to form longer chains. August Kekulé and Archibald Couper independently proposed carbon’s tetravalent nature (first part of the previous sentence) while Kekulé extended this to include carbon bonding with each other to form an extension of carbon atom chains (second part of the previous sentence). Chemistry moved from a two-dimensional view to a three dimensional view where the tetrahedral carbon was represented as a pyramid (tetrahedron) shape. It was proposed by Jacobus van’t Hoff and Joseph Le Bel that the carbon molecules had specific directions in space rather than being situated in a random orientation. Two views of the tetrahedral carbon bonded to four hydrogens to form methane, CH4. If we situate it on the page’s plane (picture to the right), we can see one bond jumping out of the page and other moving towards the back. The solid line is on the plane on the page. The two carbon-hydrogen bonds are on the page’s plane. The thick wedged line jumps out of the page (out of the page’s plane) toward the reader. The dashed line represents the bond oriented toward the back of the page (receding toward the back of the page’s plane), away from the reader. Atoms bond together to form more stable compounds with lower energy. When a chemical bond is formed, energy in the form of heat is released. Likewise, energy is required to break a bond. We learned from general chemistry that an electron octet in an atom’s valence shell (the outermost shell in an atom) gives it stability. This simply states that main group elements form bonds to have eight electrons in its outer shell so that they take on the electron configuration of the nearest noble gas. If we look at the periodic table, carbon is in group 4A. It has four valence electrons in its outer shell so it will need to form four bonds by sharing with other atoms to take on noble gas configuration. The sharing of electrons to form a bond is called a covalent bond. This differs from an ionic bond where atoms gain or lose electrons to bond together through electrostatic attraction. If we look at KCl (potassium chloride), potassium (K) is in Group 1A so it needs to lose an electron to form a cation and reach noble gas configuration while chlorine (Cl) is in Group 7A and needs to gain an electron to reach noble gas configuration. Please refer to the table for a summary of atoms and how they form covalent bonds. The valence electrons that not shared (not forming a bond) are called lone-pair electrons. In line-bond structures, the lone-pairs are not usually drawn, but are kept in mind. Please see Diagram 1E in the diagram handout to visualize the chart in action. In the next handout, we will cover valence bond theory and hybridization. A graph helps us visualize its shape through methods such as point plotting. Given an equation, we can substitute a value for x to solve for y. So for the first number, let x = 0 and solve for y. The point (0, 4) is called a solution point since plugging in those numbers into the equation satisfies it. The same can be said for (1, 6), (2, 8), (3, 10), and (4, 12) when we repeat the process. Next we plot the points from our table above to get an idea of the shape of the graph. Now that we have plotted the points of the equation, we see that the graph is a straight line. Note that plotting just a few points may not represent the true shape of the graph. We will see this later on when we graph polynomial equations. 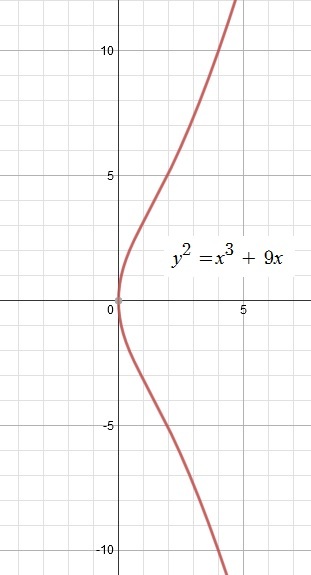 By looking at our graph from the points that we plotted at the origin and to the right of the origin, we will assume that the shape is similar to the parabola to the right. What usually happens is that people will quickly glance at the equation to determine its shape or just plot a few points and leave it at that. From here we can see that we were wrong from assuming, and that the graph isn’t a mirror image of the points that we would see in a parabola. The graph is a little more complex than we thought! On further examination, we see that we can multiply the with the polynomial in parentheses and it will change the exponents. If you do that first, you will already know that the shape won’t be a parabola. Usually during exams or situations where you can’t focus as easily, it will be easy to overlook these things. It’s one thing when you’re sitting down and you have the time to examine the equation while doing homework, but when you have to complete an exam in under an hour, it can be difficult. The best way will be to recognize different shapes of graphs of different equations. Also, don’t assume from plotting a few points that you have the graph’s shape. 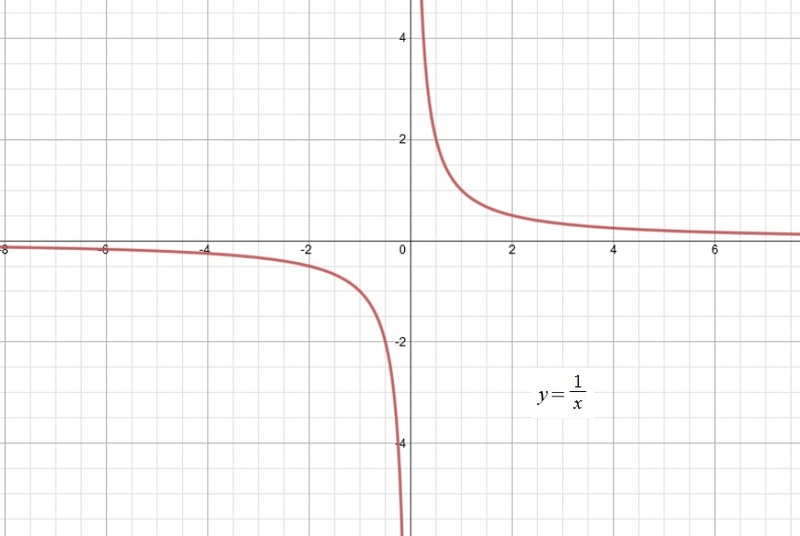 In addition to quadratic (y = ax2 + bx + c) and cubic functions (y = ax3 + bx2 + cx + d), we will see more shapes when we look at absolute values, square roots, and inverse functions (to name a few). I will cover the graphs of trigonometric functions in the precalculus review. If you’re reading this worksheet, I’m assuming that you already have the foundations of precalculus under your belt. But you can always go back and review in case you’re not sure! Everyone has access to graphing software and capabilities now so if you’re not sure, you can always double check. 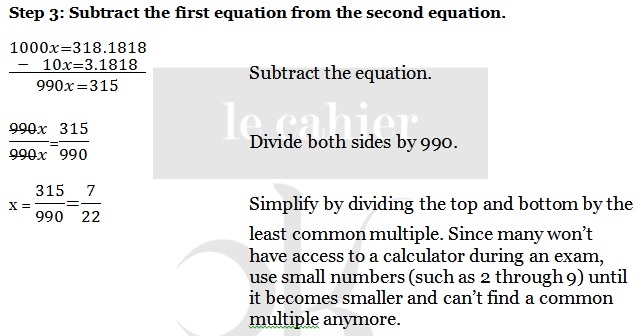 We previously discussed solutions points in the previous section where we plug in the numbers to satisfy the equation. Intercepts are the points where the graph intersects the x-axis or y-axis. Example: Find the x- and y- intercepts for the graph of y = x2 – 9. Step 1: Factor the equation. The y-intercept is at (0, -9). Keep in mind that a graph may not have any intercepts or it may have many. In our example above, we had two x-intercepts and just one y-intercept. 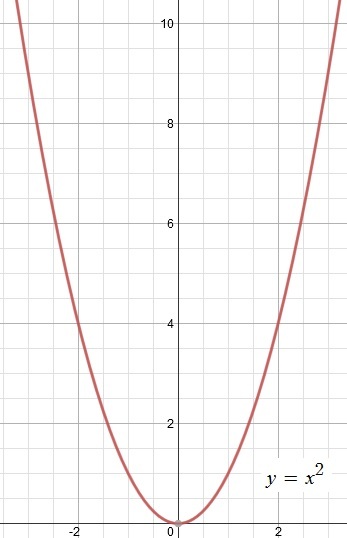 A graph is symmetric with respect to the y-axis if along with the point (x, y), (-x, y) is also a point on the graph. We saw this in our example above for the equation y = x2 – 9. We saw that the left and right sides of the graph (left of the y-axis and right of the y-axis, respectively) are a mirror image of each other. To test for symmetry with respect to the y-axis, replace x with -x. 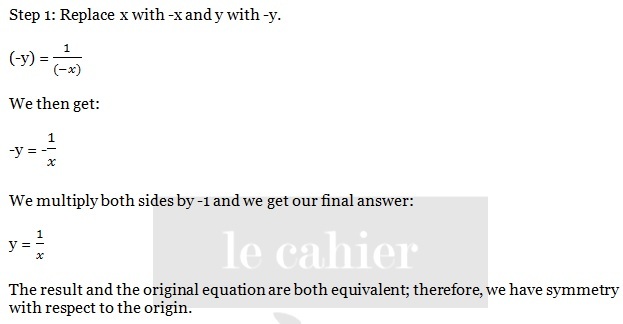 If the final result is the same as your original equation, there is symmetry. Example 1: Test the graph of y = 4x + 2 for symmetry with respect to the y-axis. Step 2: Match it to the original equation. The final equation y = -4x + 2 is not equivalent to the original equation. There is no symmetry with respect to the y-axis. 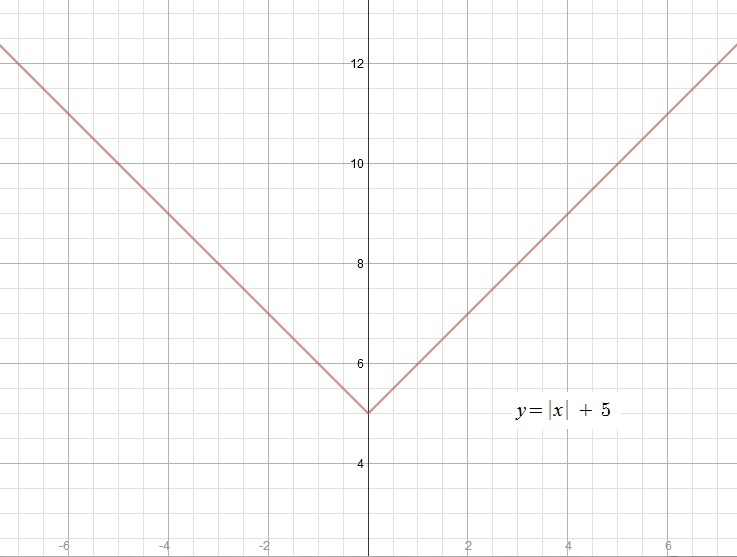 Example 2: Test the graph of y = |x| + 5 for symmetry with respect to the y-axis. *Remember absolute values are positive since they tell you the distance of x from zero, not which direction it is. If you have |x| (read as “the absolute value of x”), and whether we let x = 5 or x = -5, the value will always be 5 units from zero. So whether we put the positive or negative value of the number, they will always be x units from zero. The two equations are equivalent; therefore, there is symmetry with respect to the y-axis. A graph is symmetric with respect to the x-axis if along with the point (x, y), (x, -y) is also a point on the graph. To test for symmetry with respect to the x-axis, replace y with -y. If the final result is the same as your original equation, there is symmetry. We basically follow the same steps as we did with y-axis symmetry, but in this case, we replace y with -y to test for x-axis symmetry. The part above the x-axis should be a mirror image of the part below the x-axis. 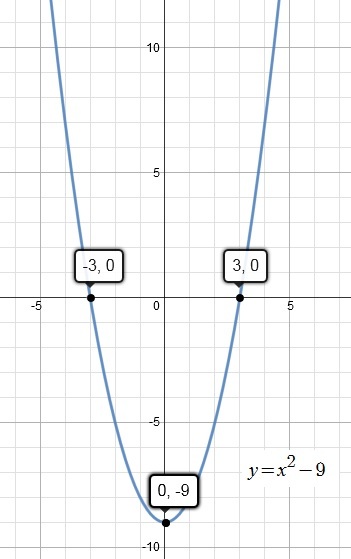 Example 3: Test the graph of y = x3 + 2 for symmetry with respect to the x-axis. In any case, the equations are not equivalent. There is no symmetry with respect to the x-axis. 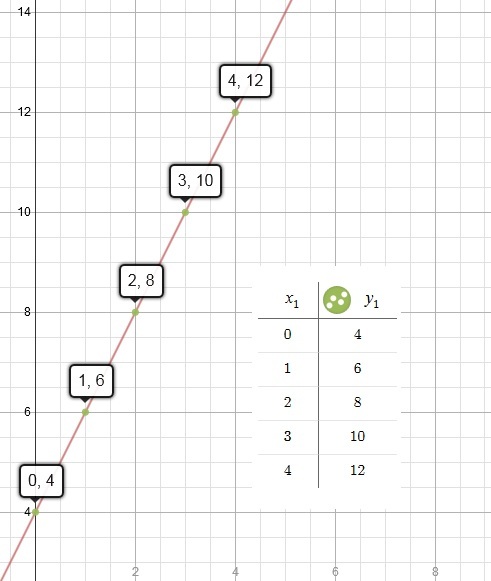 Example 4: Test the graph of y2 = x3 + 9x for symmetry with respect to the x-axis. The two equations are equivalent; therefore there is symmetry with respect to the x-axis. A graph is symmetric with respect to the origin if along with the point (x, y), (-x, -y) is also a point on the graph. To test for symmetry with respect to the origin, replace x with -x and y with -y. If the final result is the same as your original equation, there is symmetry. Origin symmetry means that if you rotate the graph by 180 about the origin, there should be no change. I think I’ve already given examples of when the result does not match with the original equation for x- and y- axis symmetry so I’m going to jump right in with the example for origin symmetry. We follow the same steps as we did for testing x- and y- axis symmetry. You can now use the intercepts and your new knowledge of symmetry to draw graphs. For example if we are sketching a graph that is symmetrical to the y-axis (such as a parabola), and we have the solution point (2 , 4), we now know that (-2, 4) is also a solution point. Wow this was a lot to take in right? I’ll stop here for now so that you can absorb it. But now you have the tools to graph the solution points faster. Real numbers are represented on the real number line, or x-axis, on the coordinate system. A real number corresponds to a point on the real number line and is the coordinate of that point. When drawing the real number line, points whose coordinates are integers (whole numbers such as 3, 15, -24, etc.) are usually written out. The point “o” (zero) on the real number line is the origin. The numbers increase in value as the direction moves to the right of the origin and are positive. The numbers decrease in value as the direction moves to the left of the origin and are negative. Nonnegative refers to numbers that are positive or zero. Nonpositive refers to numbers that are negative or zero. Irrational numbers are real numbers represented by decimal approximations since they cannot be represented as repeating or terminating decimals. Given the following repeating decimals, write them as a ratio of two integers. Now we want to convert it to a ratio, it’s fraction form. 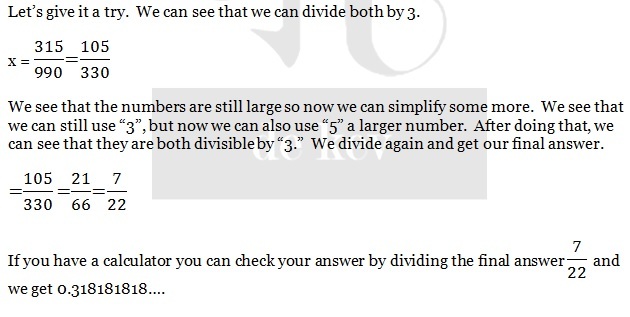 Step 1: We need to set the decimal point to the left and right of the repeating decimal. What this means is that we put the decimal point to the left of the repeating numbers and then put it to the right of the repeating numbers. Take a look at the pattern to see what repeats. Step 2: Place the decimal points to the left and to the right of the repeating numbers. Let x equal the decimal placed to the left of the repeating numbers. The first example is easy since it’s already placed in position. For the right, we already know that the “63” repeats. We want to place the decimal to the right of the repeating pattern. What can we do? We multiply both sides by 100 to turn 0.6363… into 63.6363… and x will now become 100x. Now we move on to B. Now we’ve reached an obstacle. We can see that the 1818… repeats, but now there’s a “3” in front of it! It’s like watching a movie and someone with a big hat sits right in front of you. Don’t worry, the process is still the same from Problem 1.1A. Step 1: Identify the repeating numbers.